EMERGENCY deliveries are being made today and tomorrow across Eastern Australia, ending a five-month drought in beef industry access to Bovine Ephemeral Fever vaccine. 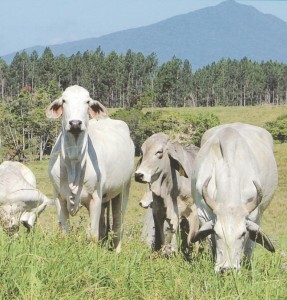 Depending on their location, beef producers in areas exposed to the risk of BEF, commonly known as three day sickness, will have access to new supplies of vaccine through their veterinarian, from tomorrow or Monday, Beef Central has been advised. Ultravac BEF, previously known as Websters BEF, is the only registered vaccine for the disease’s control in Australia. Producers have had no access to Ultravac BEF vaccine, produced and marketed by Zoetis, since mid-year. While that did not present a serious issue during the extended drought period when BEF was not active, recent rain has heightened the risk of outbreaks of three-day sickness, and some early reports of activity have already been lodged. Investigations by Beef Central indicate that the circumstances behind the absence of Ultravac BEF in Australia since July were beyond the control of the manufacturer, Zoetis. Due to earlier company de-mergers and changes in corporate structure, Zoetis was last year forced to find a new site to manufacture the vaccine, shifting from Holland to a new location in Belgium. “The re-supply of BEF vaccine to the Australian market is an absolute priority for Zoetis,” the company told customers in a communique issued earlier. “Many of the steps involved in this process are outside of the control of Zoetis. This situation has been far from desirable for producers as well as Zoetis, and we acknowledge and apologise for the inconvenience and distress the absence has caused affected producers,” the company told Beef Central. Several delays in earlier anticipated vaccine access times haven’t helped the situation. Herd bulls sold in spring in Queensland are almost universally pre-vaccinated with two doses of BEF vaccine before sale, but inquiries to breed societies have suggested that some bulls sold this year were exchanged either unvaccinated, or with only a single dose. Many of those are likely to have now been put into the breeder paddock. In some cases, cattle will have to be re-mustered specifically to receive a BEF vaccination now that supply has been restored, rather than simply being administered as part of normal earlier protocols. For those producers who this year may have already administered the first dose of BEF vaccine, but not the second, Zoetis advises that recent changes to the approved label for BEF vaccine mean that the second dose can now be given up to six months after the first, without compromising the level of immunity. “If the period since the first vaccination has extended beyond six months, speak to your prescribing veterinarian about how to manage the situation,” Zoetis said in a recent communique with producers. Bovine ephemeral fever (BEF), commonly known as three-day sickness, is a disease of cattle marked by a short fever, shivering, lameness and muscular stiffness. It is caused by biting midges carrying the virus. It causes serious economic losses through deaths, loss of condition, decreased milk production, lowered fertility of bulls, mis-mothering of calves, delays in marketing and restrictions on the export of live cattle. MLA estimates that BEF costs the Australian industry up to $100 million each year in lost productivity. In most years, BEF cases start at the beginning of the wet season in northern Australia and then spread south and east down the east coast, into southern Queensland and central and coastal New South Wales. Occasionally, outbreaks will occur in northern Victoria. Diagnosis: The diagnosis of ephemeral fever during epidemics is made on the presence of lameness, muscular stiffness, pain, rapid spread of the disease through herds and short fever. The BEF virus can often be identified from a blood sample taken from animals in the fever stage of the disease. Alternatively, two blood samples, the first obtained during the fever stage and the second fourteen days later can be examined for development of antibodies to ephemeral fever virus. BEF and its vectors are monitored through the National Arbovirus Monitoring Program. Click here for more details. Ultravac BEF is an S4 classified product. Producers should consult their local veterinarian for further advice on management of Bovine Ephemeral Fever.